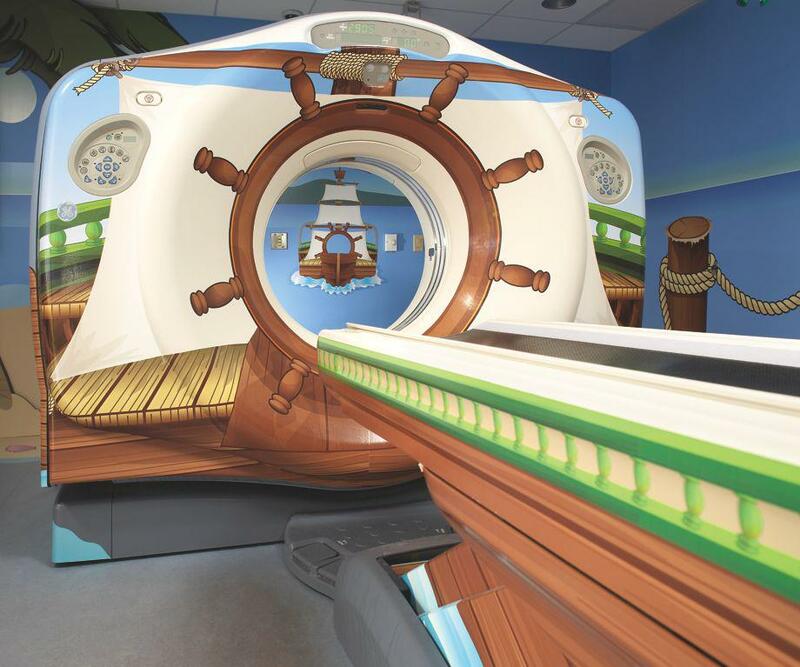 GE’s Adventure Series redesigns imaging equipment including MRIs, X-ray machines and CT scanners like the pirate-themed machine pictured here to make the procedures less scary for kids. Tom and David Kelley of the award-winning Palo Alto-based global design firm IDEO have been helping private and public sector organizations innovate, grow and bring to market new ideas for 35 years; projects include Apple’s first computer mouse and a stand-up toothpaste dispenser for Procter & Gamble. The Kelleys’ new book, Creative Confidence: Unleashing the Creative Potential Within Us All, was released this week. 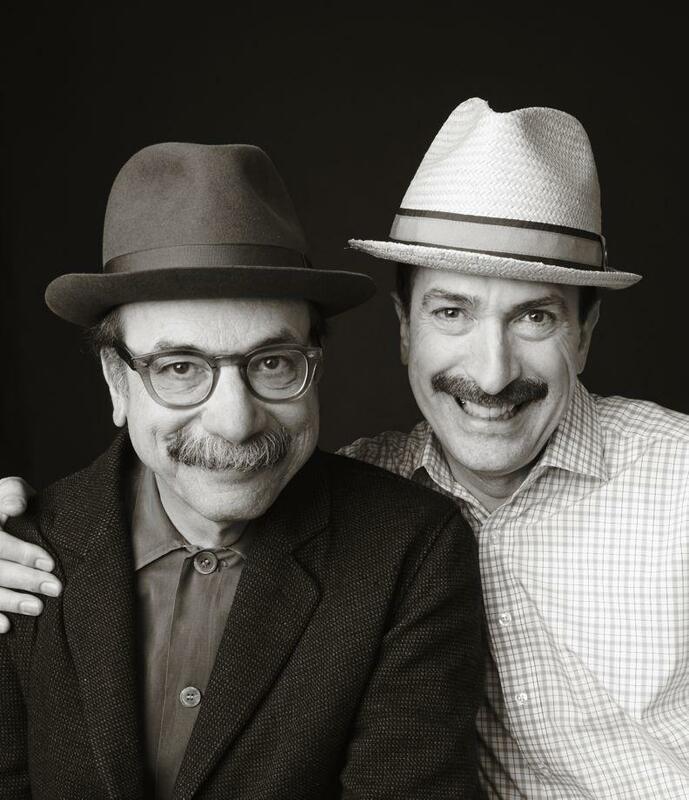 In the book, the brothers recount anecdotes from their work at IDEO and at Stanford’s d.school (the institute of design created by David Kelley), and offer tips to help everyone build creative muscle in an era when success depends on innovation in every field. Here at the Eye, the authors share an excerpt from the book that illustrates IDEO’s guiding principle of the power of human-centered design. Doug Dietz is an earnest, soft-spoken Midwesterner with a wry, endearing smile and eyes that are quick to well up with tears at an emotional moment. A twenty-four-year veteran of General Electric, Doug helps lead design and development of high-tech medical imaging systems for GE Healthcare, an $18 billion division of one of the largest companies in the world. His multimillion-dollar magnetic resonance imaging (MRI) systems peer painlessly inside the human body in ways that would have been considered magic just a generation ago. A few years back, Doug wrapped up a project on an MRI machine that he had spent two and a half years working on. When he got the opportunity to see it installed in a hospital’s scanning suite, he jumped at the chance. Standing next to his new machine, Doug talked with the technician who was operating it that day. He told her that the MRI scanner had been submitted for an International Design Excellence Award—the “Oscars of design”—and asked her how she liked its new features. “It was a perfect example of bad interviewing technique,” Doug says abashedly. Doug was prepared to come away patting himself on the back for a job well done. But then the technician asked him to step out into the hall for a moment because a patient needed to get a scan. When he did, he saw a frail young girl walking toward him, tightly holding her parents’ hands. The parents looked worried, and their young daughter was clearly scared, all in anticipation of what lay ahead—Doug’s MRI machine. The girl started to sniffle, and Doug himself got choked up telling us her story. As the family passed by, Doug could hear their hushed conversation: “We’ve talked about this. You can be brave,” urged the dad, the strain showing in his own voice. As Doug watched, the little girl’s tears rolled down her cheeks. To Doug’s alarm, the technician picked up the phone to call for an anesthesiologist. And that was when Doug learned that hospitals routinely sedate pediatric patients for their scans because they are so scared that they can’t lie still long enough. As many as 80 percent of pediatric patients have to be sedated. And if an anesthesiologist isn’t available, the scan has to be postponed, causing families to go through their cycle of worry all over again. When Doug witnessed the anxiety and fear his machine caused among the most vulnerable patients, the experience triggered a personal crisis for him that forever changed his perspective. Rather than an elegant, sleek piece of technology, worthy of accolades and admiration, he now saw that—through the eyes of a young child—the MRI looked more like a big scary machine you have to go inside. 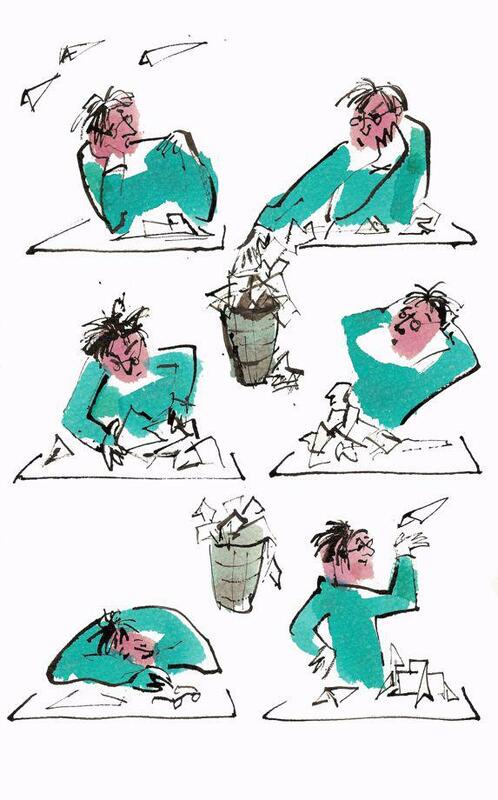 Pride in his design was replaced with feelings of failure for letting down the very patients he was trying to help. Doug could have quit his job, or simply resigned himself to the situation and moved on. But he didn’t. He returned home and told his wife that he had to make a change. So Doug sought advice on this deep personal and professional challenge from friends and colleagues. His boss at GE, who had encountered Stanford’s d.school while at Procter & Gamble, suggested he try out an executive education class. Searching for a fresh perspective and a different approach to his work, Doug flew to California for a weeklong workshop. He didn’t know quite what to expect, but he was eager to embrace any new methodology that would help him in his quest to make MRIs less frightening for young children. By applying human-centered design methods in his own work, Doug believed he could come up with a better solution for children—and he was determined to make it happen. He returned to Milwaukee knowing what he wanted to do. Without significant resources, funding, or support from his own company, Doug knew he couldn’t launch a big R&D project to redesign an MRI machine from scratch. So he focused on redesigning the experience. He started by observing and gaining empathy for young children at a day care center. He talked to child life specialists to understand what pediatric patients went through. He reached out for help from people around him, including a small volunteer team from GE, experts from a local children’s museum, and doctors and staff from two hospitals. Next, he created the first prototype of what would become the “Adventure Series” scanner and was able to get it installed as a pilot program in the children’s hospital at the University of Pittsburgh Medical Center. By thinking holistically about how children experienced and interacted with the technology, Doug helped transform the MRI suite into a kid’s adventure story, with the patient in a starring role. Making no changes to the complex technology inside the scanner, Doug and his ad hoc team applied colorful decals to the outside of the machine and to every surface in the room, covering the floor, ceilings, walls, and all of the equipment. They also created a script for machine operators so they could lead their young patients through the adventure. With Doug’s new MRI redesign for kids, the number of pediatric patients needing to be sedated was reduced dramatically. The hospital and GE were happy too because less need for anesthesiologists meant more patients could get scanned each day. Meanwhile, patient satisfaction scores went up 90 percent. But the biggest satisfaction for Doug lies not in the numbers, nor in GE Healthcare’s improved bottom line (although these were important for gaining internal support). His greatest reward came while talking with a mother whose six-year-old daughter had just been scanned in the MRI “pirate ship.” The little girl came over and tugged on her mother’s skirt. “Mommy,” she asked, “can we come back tomorrow?” That simple question made all his effort worthwhile. Less than a year after his epiphany, Doug’s increased creative confidence catapulted him into a new role as a thought leader at GE. Would it be an exaggeration to say that, in the process, Doug also helped change the world a bit? Ask one of those young patients or their parents. They already have the answer. A creative mindset can be a powerful force for looking beyond the status quo. People who use the creative techniques we outline are better able to apply their imagination to painting a picture of the future. They believe they have the ability to improve on existing ideas and positively impact the world around them, whether at work or in their personal lives. Without that belief, Doug wouldn’t have been able to take the first step toward his goal. Creative confidence is an inherently optimistic way of looking at what’s possible. Doug’s story illustrates the way human-centered design can lead to breakthrough innovations. New opportunities for innovation open up when you start the creative problem-solving process with empathy toward your target audience—whether it’s kids or colleagues, clients or consumers. While competitors focused on the never-ending battle surrounding technical specifications (like scanning speed, resolution, etc. ), Doug found a whole new way to improve the lives of patients and their families. In our experience, approaching challenges from a human perspective can yield some of the richest opportunities for change. Correction, Oct. 18, 2013: Due to an error in Creative Confidence: Unleashing the Creative Potential Within Us All, the caption for the image in this post misidentified the machine as an MRI machine. It is a CT scanner.